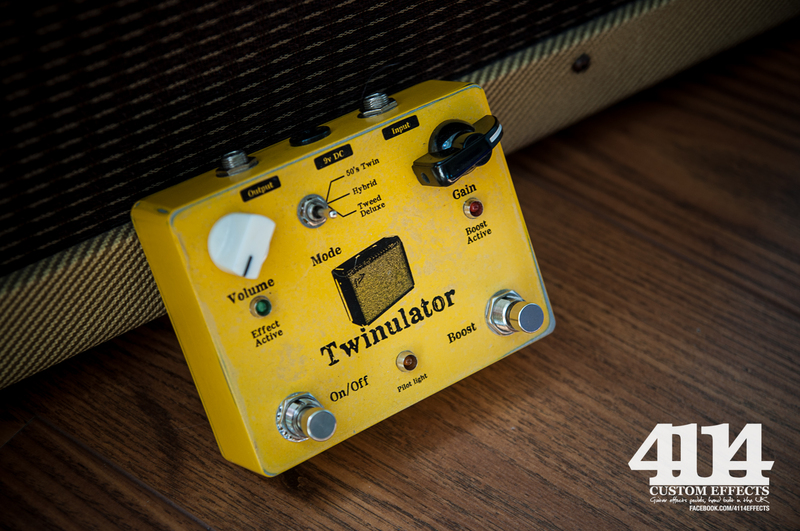 Twinulator – Fender style overdrive. 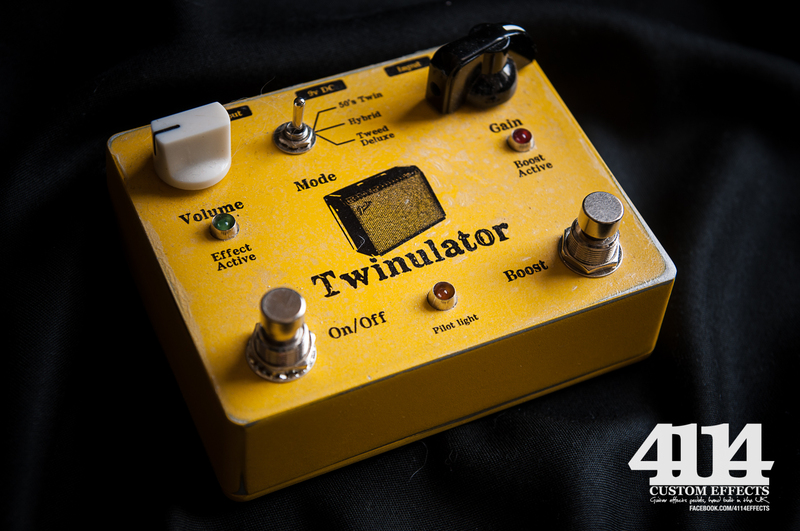 Home » Effects Pedal Gallery » Twinulator – Fender style overdrive. Vintage aficionados -here’s one for ya – it’s a great drive pedal that emulates the sound of cranked vintage Fender amps. Seen as how Fender are pushing the whole “Pawn Shop / Distressed” concept, I thought I’d style this in a similar manner. The finish is distressed and the knobs are mismatched, gives it a real one-of-a-kind vintage vibe. Would look great sat between your pawn shop amp and a relic’d strat! 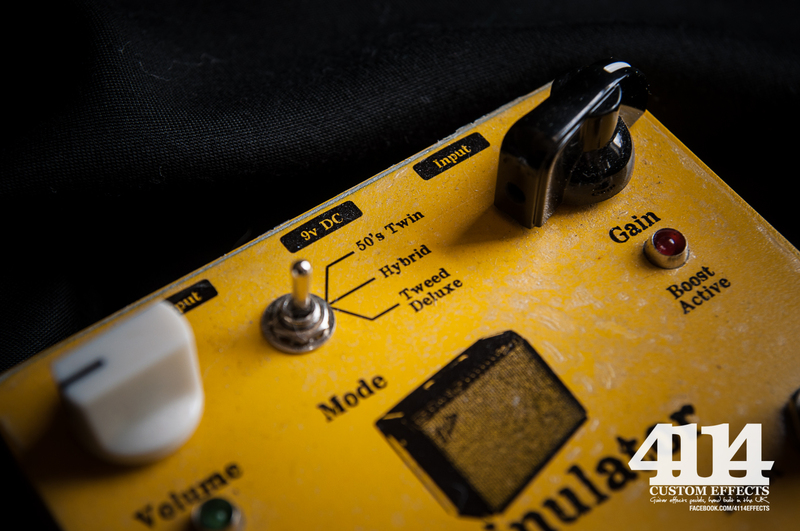 Footswitch for on/off, separate switch for a drive boost, volume and boost gain knob and a toggle switch to change the character of the drive. Simple and effective as it comes, just the way I like it. Sounds lovely too, switch toggles between really open and dynamic growl and slightly more compressed overdrive. This one is staying on my pedalboard, unless someone puts in a silly financial offer to tempt it away. But I can always build you a similar one-off piece, just drop me a message!